Lamb Chopper is the happy result of a partnership between a Dutch cheesemaker and an American cheese icon, Mary Keehn. Under Mary's direction, Lamb Chopper is produced in Holland with sheep milk from a local dairy and imported to the United States by Mary's company, Cypress Grove. The cheese is aged in Holland for at least three months before being shipped to the States. 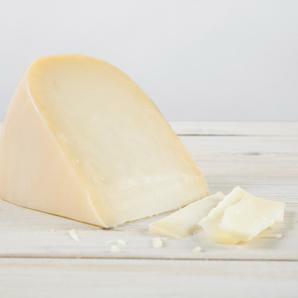 Soft and buttery on the palate, Lamb Chopper has an incredible sweetness redolent of salted caramel and fresh vanilla beans, and a slight hint of citrus to contrast the savory qualities of the sheep's milk.